Home / breaking news / Other / spirituality / Man On Death Bed Recalls The One Moment In His Life That Changed Everything! 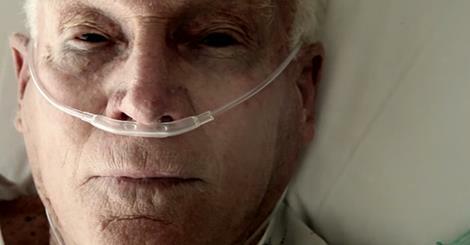 Man On Death Bed Recalls The One Moment In His Life That Changed Everything! Will You Cherish Every Moment of Life God Gives You? You don’t need to fast-forward or rewind your life when you learn to be content in all times. So start to rejoice in your singleness because that is God’s purpose for you during this season. Take joy in balancing your job, kids, and spouse. God has blessed you abruptly for you to complain and not enjoy every crazy moment. You don’t need to do something crazy every day to seize the day. You just need to realize that every day you are breathing is a day that can be lived in awe of the Creator. The following video will show you how precious moments of life are and how important it is to be grateful to God for every season and moment of life.